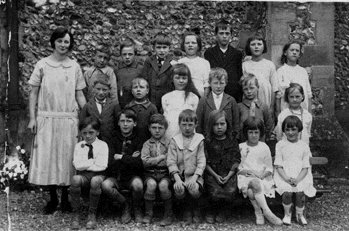 Taken about 1925 outside the Little School. The teacher is Miss Winie Spinks. Note: Girls names are maiden.